Have you ever wished you could pop into a local library to check out a book to read while lounging on the beach at the Indiana Dunes State Park, even though your Indiana home library is hundreds of miles away? Perhaps you live in southern Indiana and you have to go all the way up to Allen County for a business trip. Wouldn’t it be nice to be able to check out a DVD from the library near your hotel? If these situations strike a chord with you, a Public Library Access Card (PLAC) is the perfect solution. PLAC is the statewide library card program enacted by the Indiana General Assembly in 1993 (Indiana Code 4-23-7.1-5.1). The PLAC program allows individuals to purchase a card which allows them to borrow materials directly from any public library in Indiana. 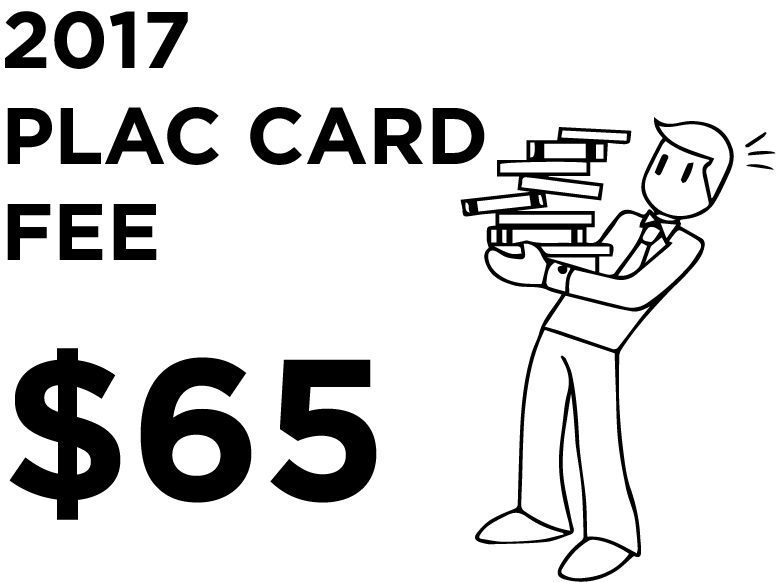 Any individual who holds a valid Indiana public library card may purchase a PLAC card which is valid for 12 months from the date of issue. The cost of the card is reviewed and adjusted annually by the Indiana Library & Historical Board (ILHB). The fee for 2017 is $65.00. The Indiana State Library collects the revenue from the sale of these cards distributes it back to libraries on the basis of net loans. 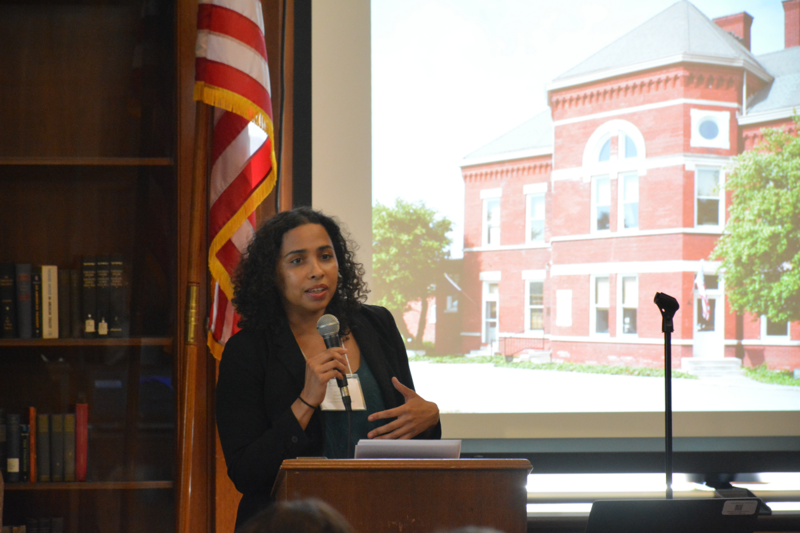 Q: Are public libraries required to participate in the statewide PLAC program? 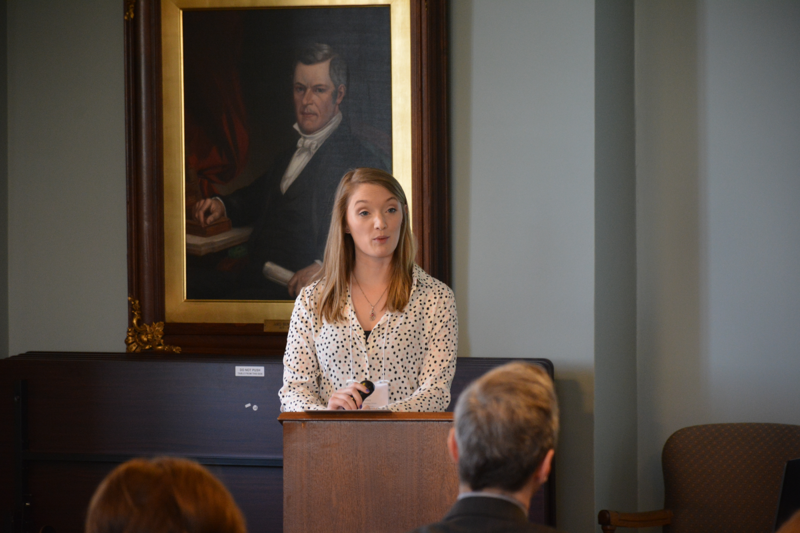 Q: What types of materials are eligible for loan in the PLAC program? A: Books and select non-book materials. Each public library will annually determine what types of materials will be loaned to PLAC cardholders, but at least books that normally circulate must be available for loan. 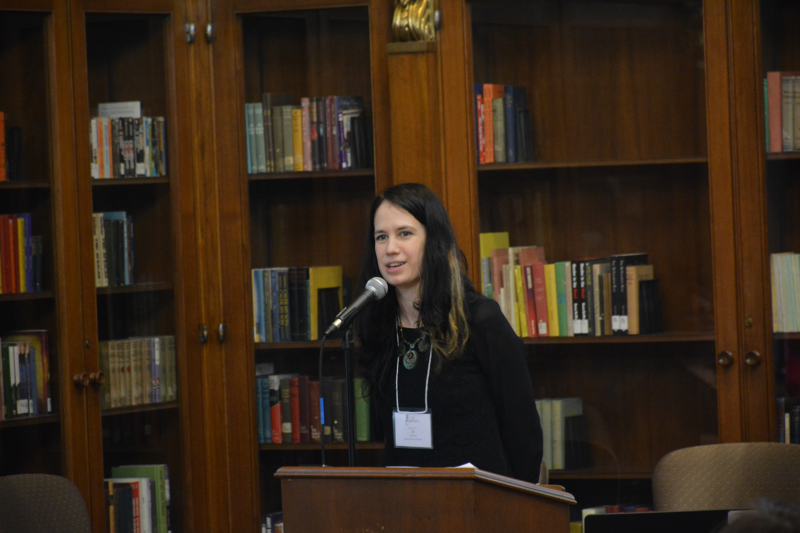 Q: Does the PLAC include access to eBooks, databases and other online resources? A: No. eBooks, databases and other online resources are licensed locally for the home users of that library and are not available to PLAC holders. Q: If I later decide that I don’t need my PLAC, can I get a refund? A: No. PLAC fees are not refundable. Q: Who is eligible for a PLAC? A: Anyone who holds a valid library card issued by a public library in the state may purchase a PLAC. In order to receive a PLAC card individuals must have a valid “resident” or a non-resident library card. Q: How is the PLAC used? A: Individuals need to present the PLAC on their initial visit to the library and go through the registration process for that particular library. Q: When does my PLAC expire? A: The PLAC expires one year from the date of application for the card. At that time, the PLAC cardholder would need to reapply and pay for a new PLAC card. Q: Must materials borrowed on a PLAC be returned to the lending library? A: Yes. PLAC cardholders should be informed that they are expected to return materials borrowed using a PLAC to the lending library. Q: May anyone in my family use the PLAC? A: No. According to IC 4-23-7.1-5.1 the PLAC is always issued to an individual. 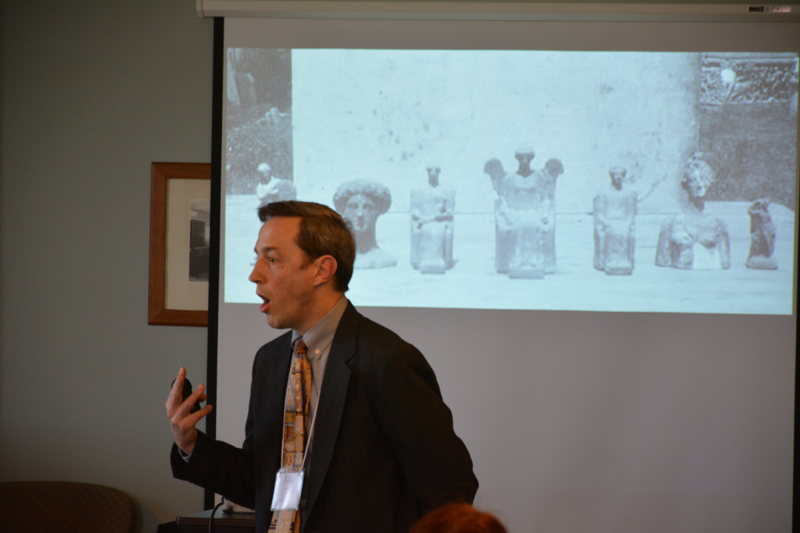 For even more questions and answers about the PLAC program click here. If you have other questions, please contact StatewideServices@library.in.gov. In this state we take our names seriously! We are Hoosiers; not Indianians; not even Indianans. We are Hoosiers and, finally, the Government Publishing Office (GPO) agrees with us! 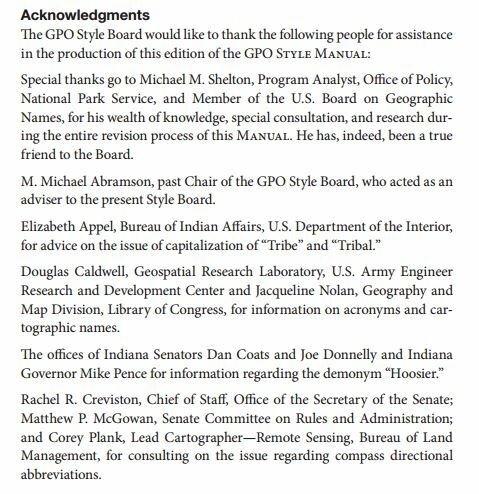 The newest edition of the GPO Style Manual will no longer refer to citizens of Indiana by the name Indianians, but now as Hoosiers. 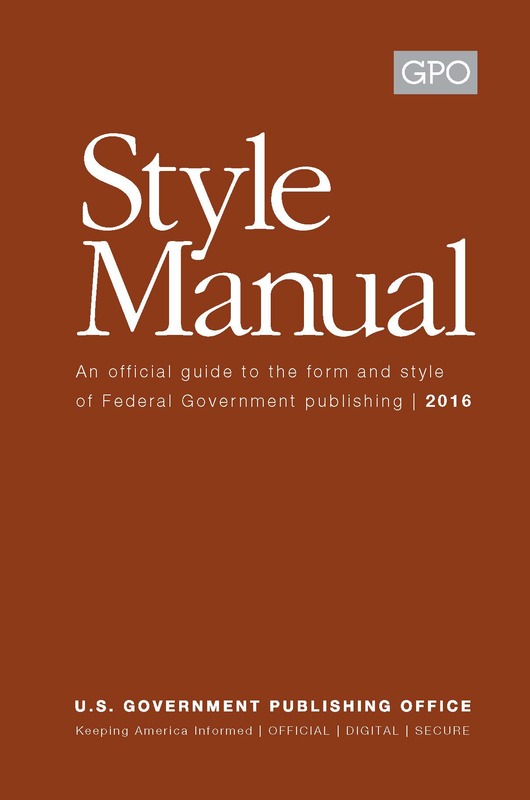 The Style Manual (similar to style manuals you find in English class for help with citations) is a standardization template designed to create uniformity of a word or phrase. 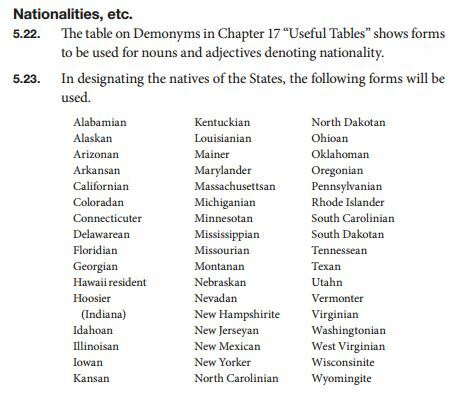 One such example is the designation of native residents of states. GPO, by act of Congress, has published a style manual since 1894, and states that its rules are based on principles of good usage and custom in the printing trade. Their timing was perfect, as GPO was working on the 31st edition of the Style Manual. 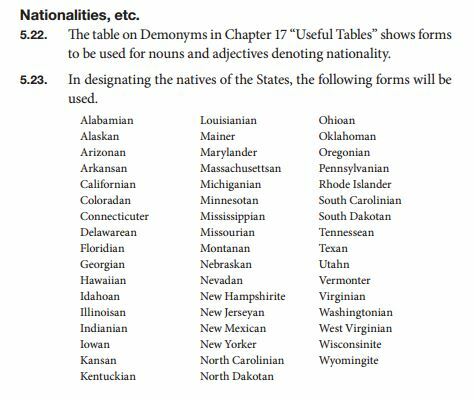 The federal government relented and on page 95 of the updated U.S. Government Publishing Office’s Style Manual we Hoosiers are finally, officially Hoosiers. 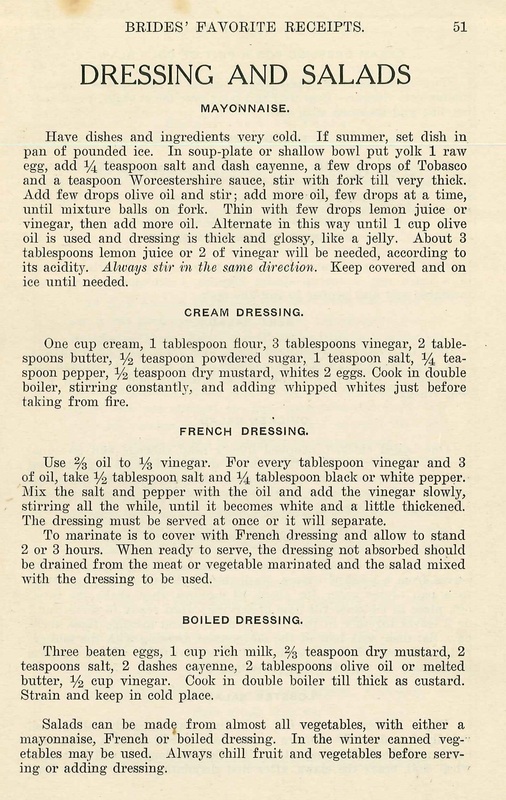 Over the years, the Indiana State Library’s Indiana Collection has come to include many unique cookbooks, usually with some sort of Hoosier connection. While browsing the closed stacks, the titles of three cookbooks caught my interest. It is useful to mention that the word “receipts” is old terminology for what we now call recipes. So if you are ever searching library catalogs, digitized newspapers or online materials for old recipes, you might want to try “receipts” as a keyword instead. 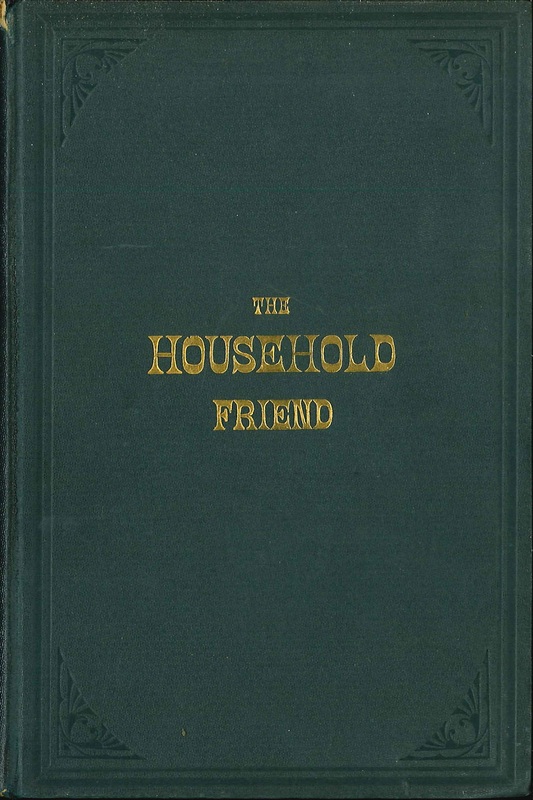 Published in 1876, “The Household Friend; A Practical Domestic Guide for Home Comfort” by Mrs. S. C. Jennings, includes cooking receipts, medical remedies and housekeeping hints. 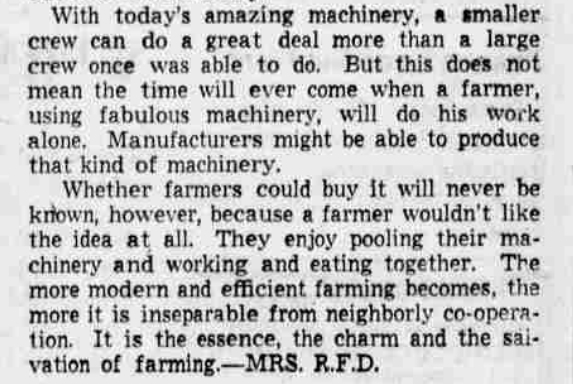 Mrs. Jennings of Lafayette, Ind. wrote that the receipts (recipes) included had been thoroughly tested by both herself and her friends. 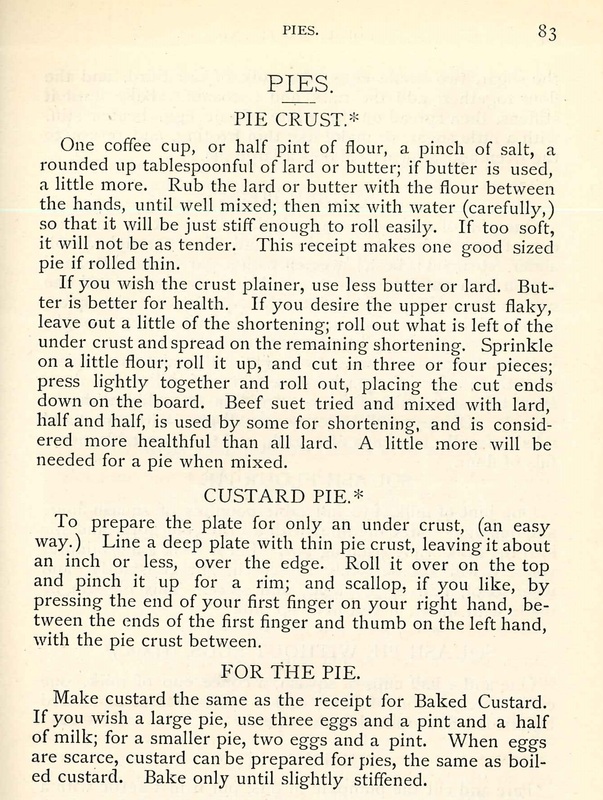 The pie crust and custard pie recipes were from Mrs. Jennings’ personal collection. Sadly, the publisher included an obituary notice stating that the author died shortly after completing the book. Mrs. Jennings’ memorial and a photo of her tombstone appears on Find-A-Grave. The next cookbook even uses the term “receipts” in its title. 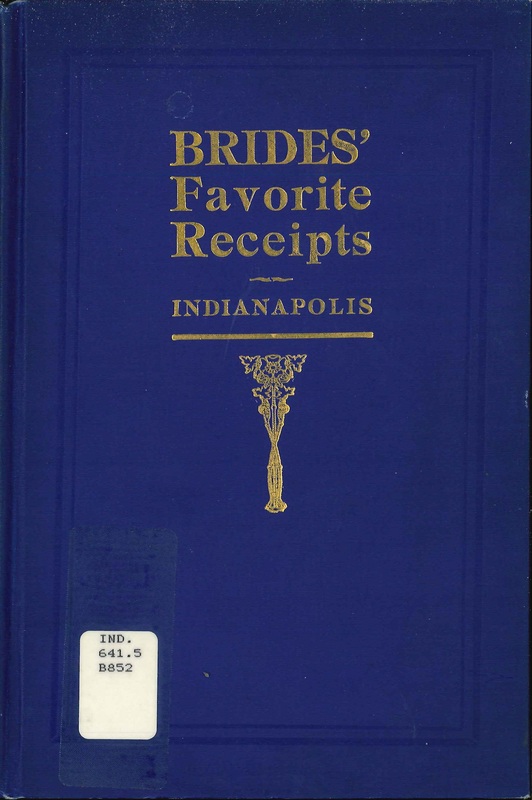 “Brides’ Favorite Receipts: Indianapolis” was published around 1909 by the Glisco Company and a complimentary copy was presented to each new bride in Marion County by Leonard Quill the County Clerk. The introduction explains that the merchants of Indianapolis took out paid advertisements in the book, with some even including coupons in the back. 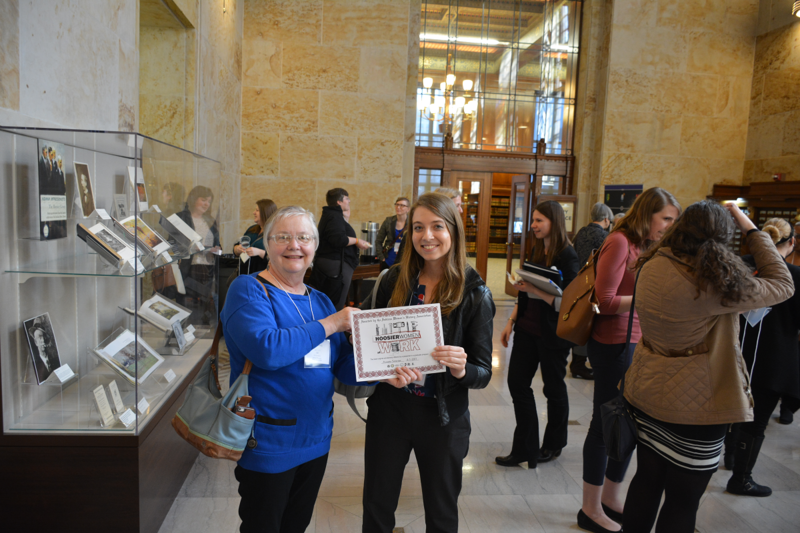 The state library’s copy came as a donation, and consequently, some of the coupons were used. After the recipes, other household cleaning hints are included, such as how to make ostrich plumes fluffy. The title alone of the last book was intriguing. 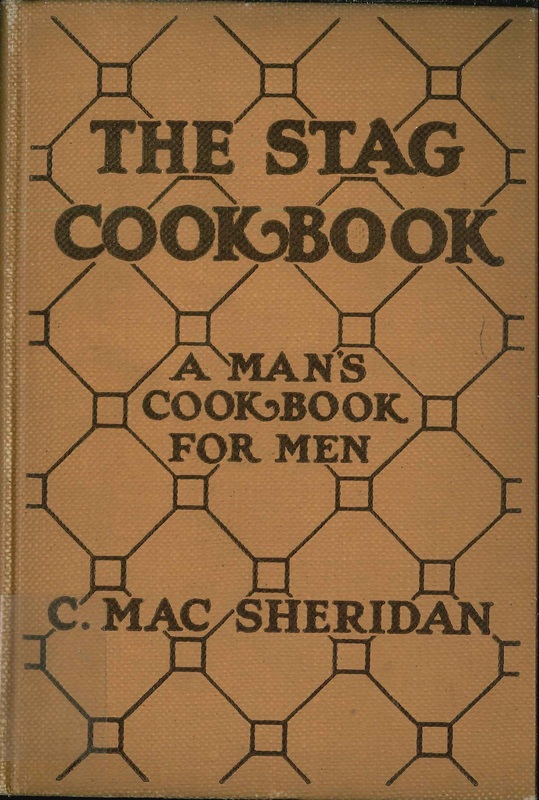 “The Stag Cook Book, Written for Men by Men” was compiled by Carroll Mac Sheridan in 1922. 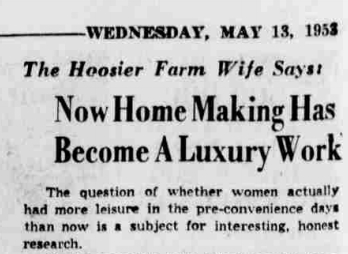 It includes favorite recipes from notable American men including Indiana author, politician and diplomat Meredith Nicholson. I wanted to find out a bit more about the book and consequently discovered The New York Herald’s Books and Magazine section on Nov. 5, 1922 carried a review of “The Stag Cook Book” entitled “Justifiable Homicide.” While the title of the review refers more to the introductory pages than to the recipes, the reader is left to question if the book is meant for humor or for serious cookery. 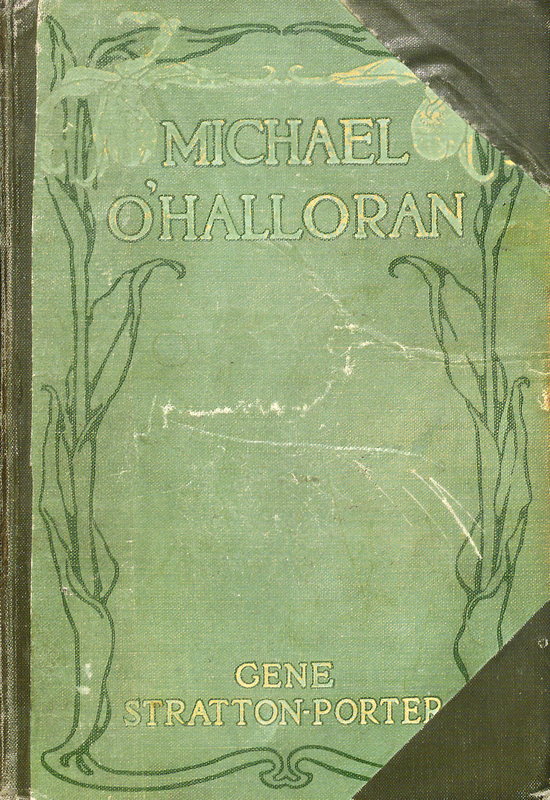 The entire book was digitized from the New York Public Library’s copy and can be viewed on Google Books. I’ll let you decide if it’s a real cookbook or not. While these cookbooks are much different than the slick photo-laden volumes that celebrity chefs publish today, the three are certainly noteworthy for their historical context. 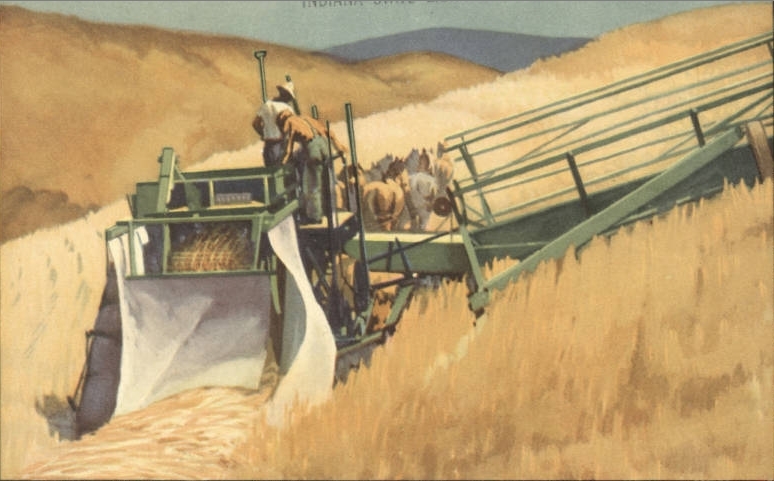 Anyone can virtually search and browse the Indiana Collection through the state library’s online catalog. 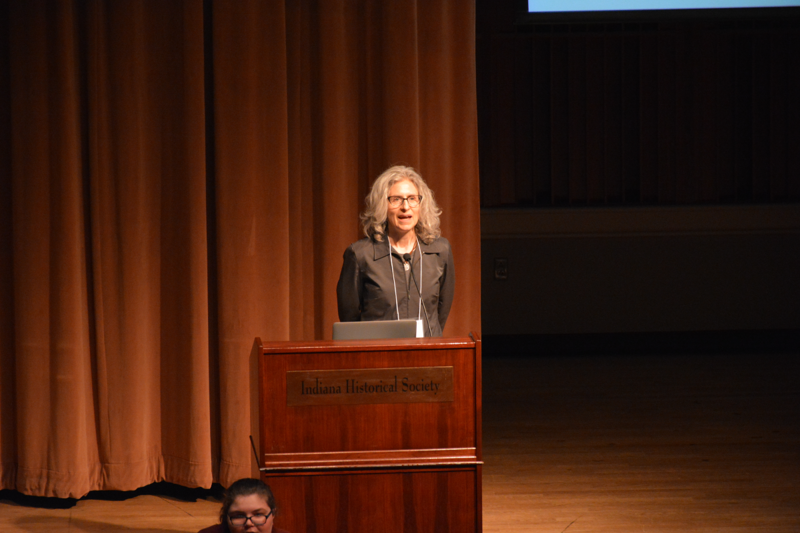 This blog post was written by Indiana Division Librarian Andrea Glenn. For more information, contact the Indiana Division at (317) 232-3670 or “Ask-A-Librarian” at http://www.in.gov/library/ask.htm.